Today there won’t be any specific economic reports in the US to influence USDJPY, however Japan is releasing Trade Balance. 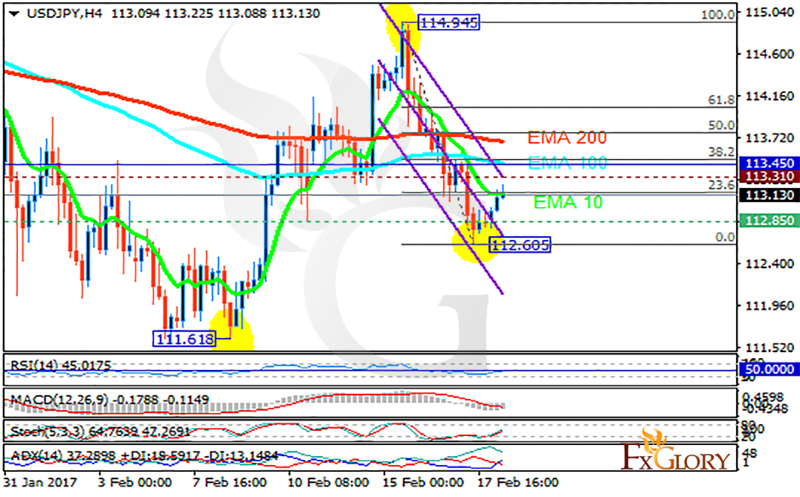 The support rests at 112.850 with resistance at 113.310 which both lines are below the weekly pivot point at 113.450. The EMA of 10 is moving with bearish bias and it is located below the EMA of 100 and the EMA of 200. The RSI is rising towards the 50 level, the Stochastic is showing upward momentum and the MACD indicator is in negative territory. The ADX is showing buy signals. Considering the technical chart, the pair is moving upward targeting the 61.8 level of Fibonacci retracement otherwise it will decline and sellers can target 112.00.